UML (Unified Modeling Language) has become widely used industry standard for modeling software systems. 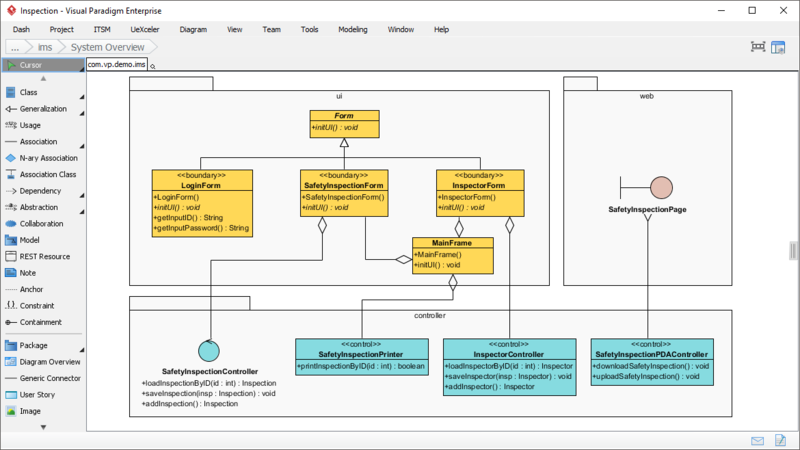 However, we need also good process and modeling tool support in order to unleash the full power of visual modeling capability provided by UML. The business world is complex, dynamic and fast changing and there is no "one-size-fit-all" methodology, Visual Paradigm provides rich variety of UML design tools for developers to pick and match for the nowadays challenging projects. 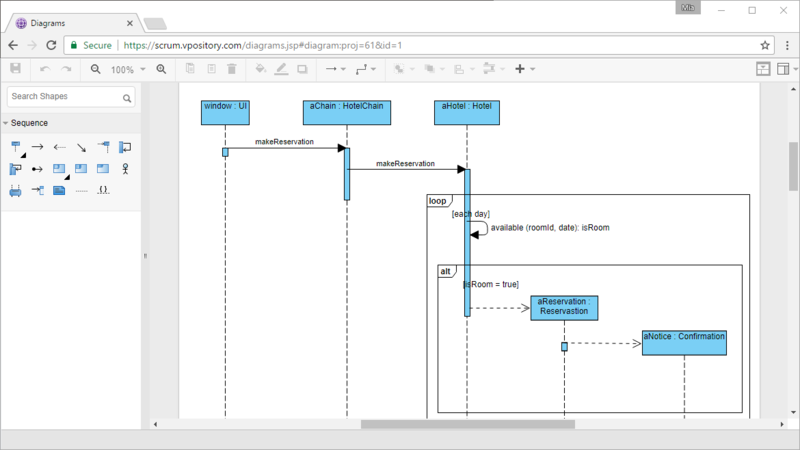 A comprehensive UML tool that supports latest UML 2.x diagrams and notations. 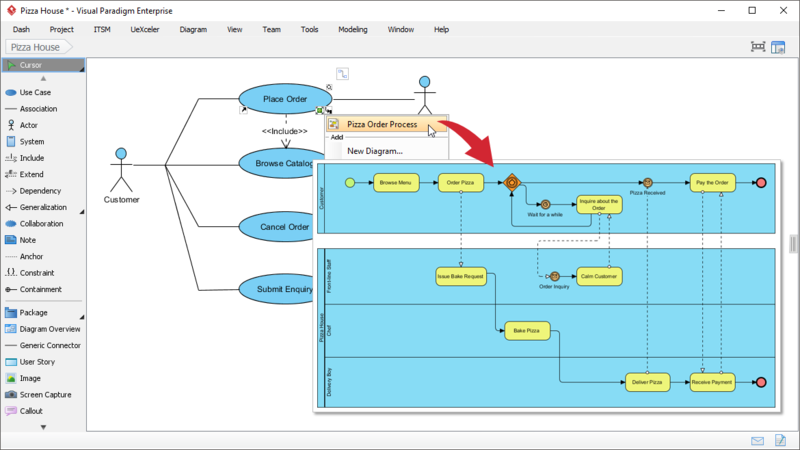 Establish inter-linkages from UML design to BPMN, SysML, DFD, ERD, ArchiMate, MindMap, etc. Identify requirements from UML. Keep them as User Activities in user story map and break them down into User Tasks, Epics and User Stories. Document the flow of a use case as flow of events. Apply different formatting to steps. The UML tool also features UX design tools like wireframe tool and storyboard tool. You can integrate wireframes into the flow of events of use case. Keep your design consistent with your code base. 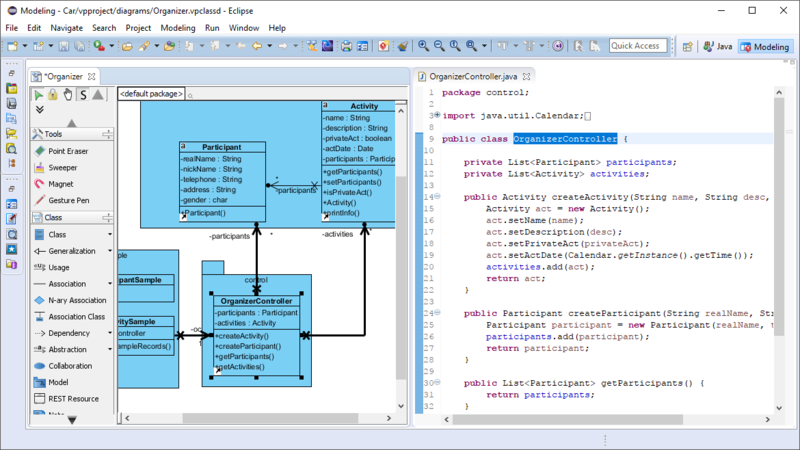 Edit both the visual model and source code in a unified environment - your IDE. We support Eclipse, IntelliJ IDEA, NetBeans, Visual Studio and Android Studio. Use Case specification, Class specification, system specification, etc. To develop a document involves just simple drag and drop! Share, discuss and comments diagrams or models online over the cloud through the PostMania feature. 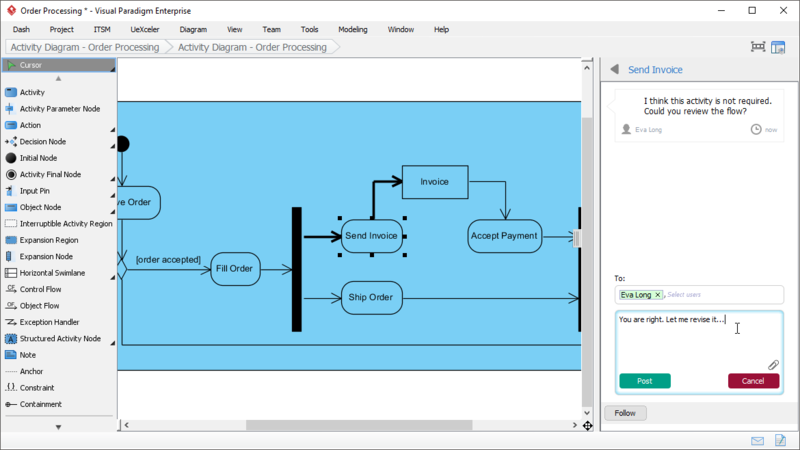 Draw UML online with the online UML tool. 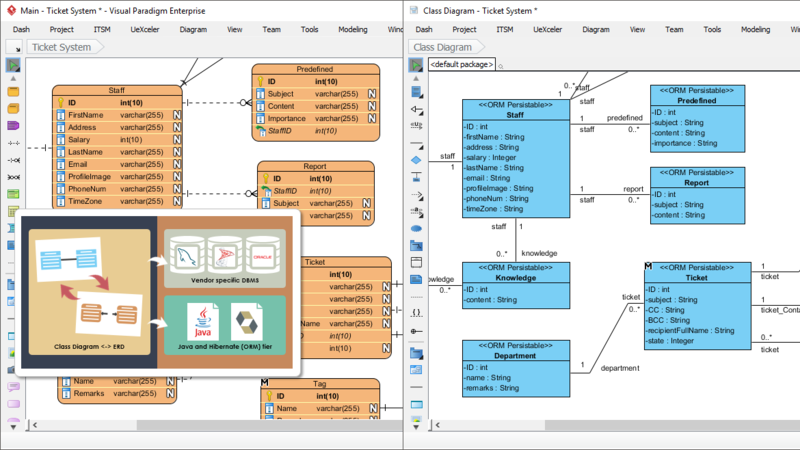 We feature online class diagram, online use case diagram, online sequence diagram, online BPMN, ArchiMate 3 and more! No strong supporting toolset to unleash the full power of UML for serving on different activities required to be performed in software development such as teamwork, agile development, UX modeling, code engineering, enterprise project management and etc. Apply use case modeling seamlessly with agile development by integrating use cases with story map for backlog management, release planning. 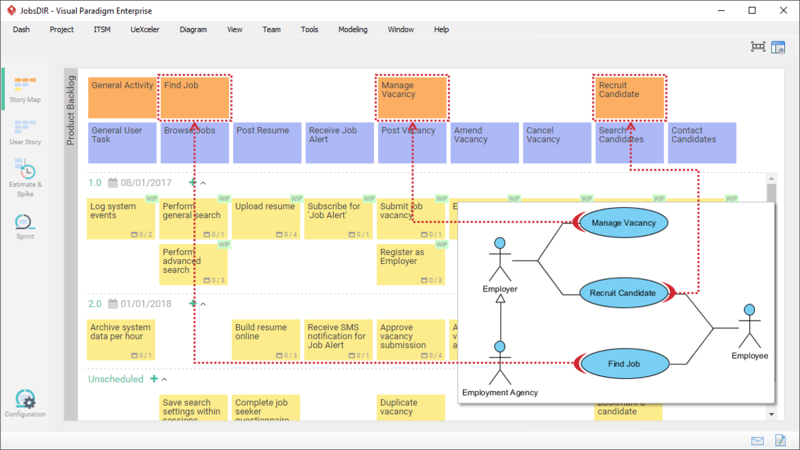 Send multiple sources of visual models (requirements) to agile product backlog such as identifying requirements from use cases, activities in UML Activity Diagram, tasks or activities from BPMN or nodes from mind map diagram. Identify classes from sequence diagrams and related model from one to another through the Model Transitor feature. 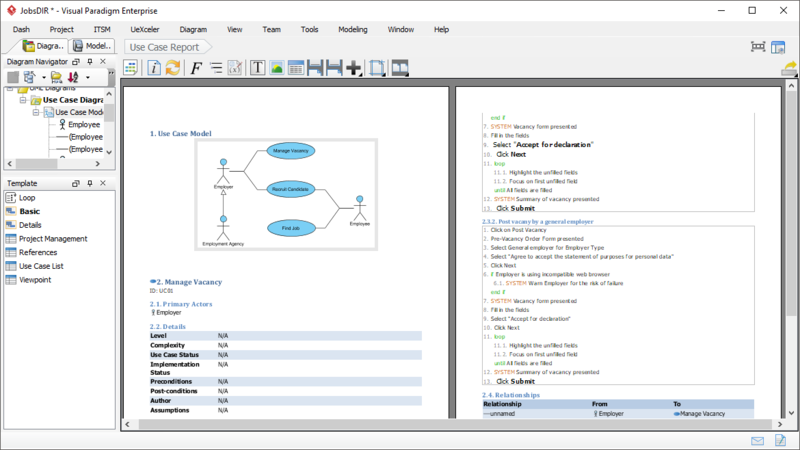 Simply drag & drop model elements or diagrams created to compose your own reports and output to it to a desirable format such as Word, PDF or HTML. Alternatively, you can embed the model elements or diagrams from the Visual Paradigm project into the content of your corporate report or document with the Fill-in Documentation Composer. 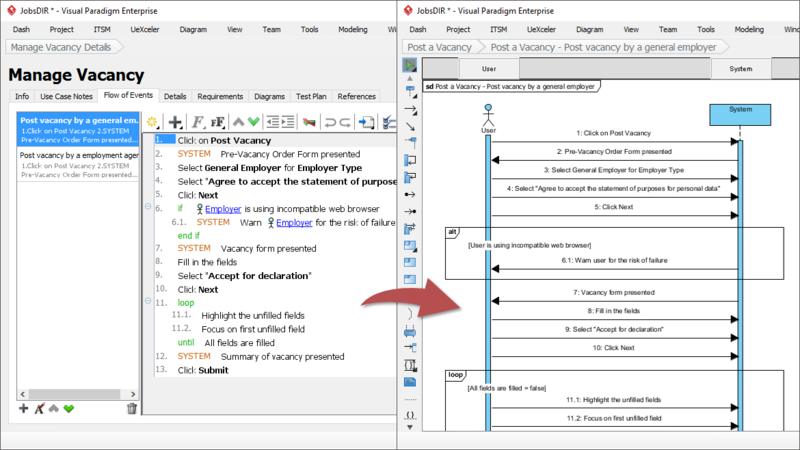 The first phase of Web Diagram online feature is in place (including BPMN, business process Diagram, ArchiMate® Diagram, class diagram, use case diagram, sequence diagram, flow chart PERT, ITIL, AWS, and Microsoft Azure diagram), now all the existing Visual Paradigm users can take advantage of web diagrams online with no additional cost. Now, you can try sample diagram online in the Visual Paradigm Community Circle by importing them straight to you application for learning and experiment or adopt the off-the-shelf templates for solving your problems.